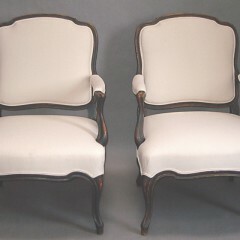 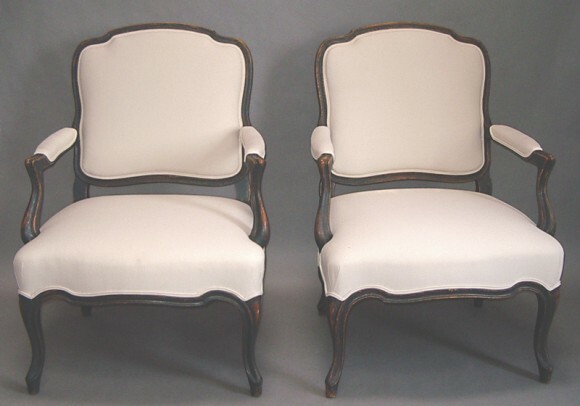 Pair of black painted armchairs in the rococo style, Sweden circa 1880. 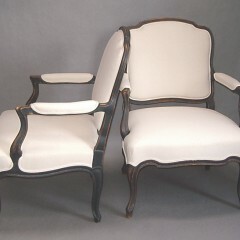 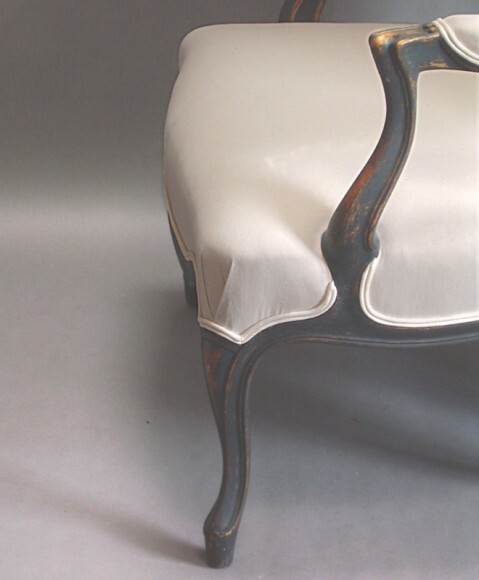 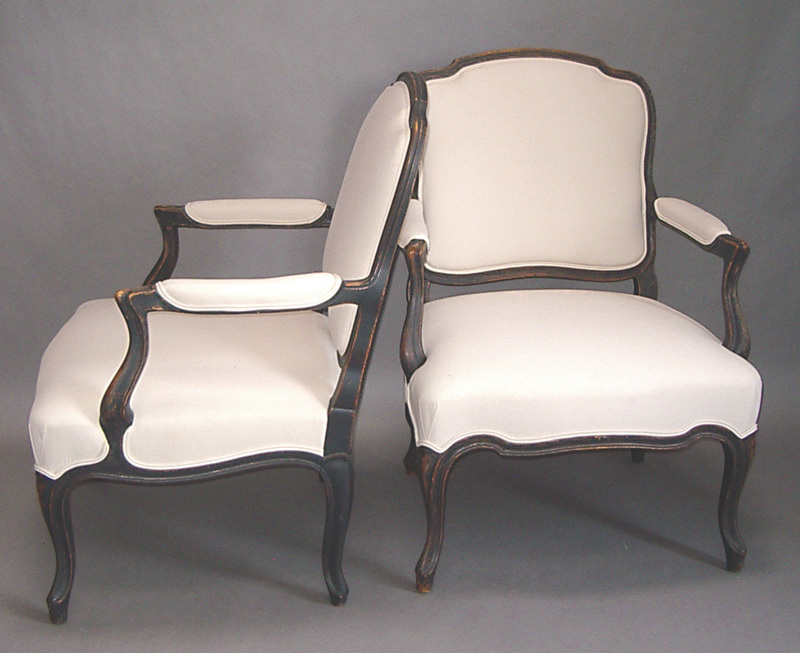 Cabriole legs and upholstered arms. 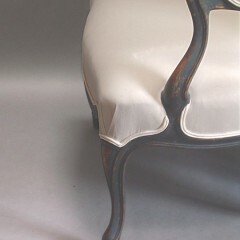 Covered in heavy-weight muslin.